On Sunday mornings, we have everything from nursery to Sunday school classes for all ages. You can worship during our service and Sunday School knowing your child is well-cared for and learning about Jesus. Our Wednesday Evening ministries include something for each of your children kindergarten through 5th grade. These activities run from 6:30–8:00 p.m. during the school year, and children can join at any point in the year. Each winter, we run our Upward Basketball and Cheerleading league. This is one of our ministries with the largest participation from our church family and our community. Whether you have a child who would like to play or you'd like to volunteer in our café or as a coach, Upward has something for you. Grace Kids Choir is a large choir of children in kindergarten through 6th grade. Most practices take place from 5:45–6:30 pm on Wednesdays during the school year. They present one program in December and one in April. 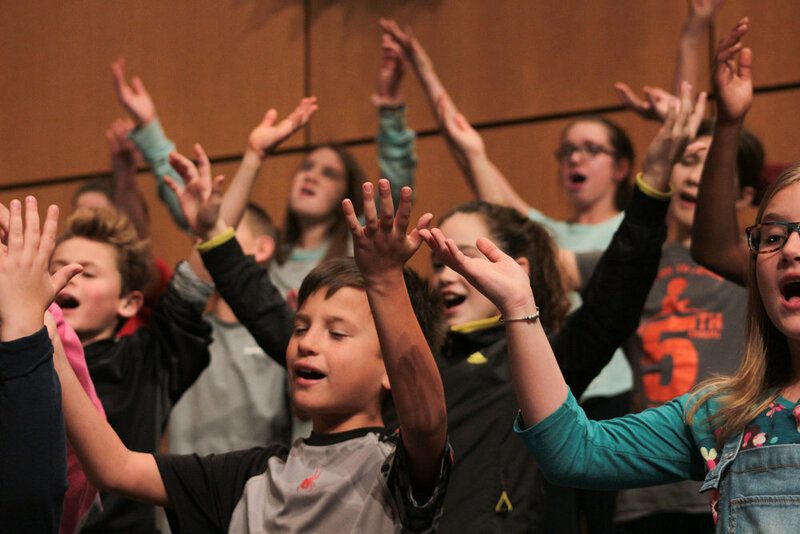 The focus of this ministry is on teaching kids to worship God and serve others through music and drama. Because we value safety, fun, and mentoring, we are always looking for qualified volunteers. There are opportunities to serve in areas from nursery care to children’s Sunday School groups to Wednesday evening ministries. Time commitments and responsibilities will vary. To keep our children safe, we have all volunteers fill out an application and background check consent form. For more information on any of our children's ministries or to learn more about serving, please contact Pastor Brad. To better care for your child and communicate with you as a parent or guardian, we would like to have a current participation agreement on file for your family. Please click the link below to fill one out!